Friday, October 9, 1914: About once a week take the notion to write. Well, there really wasn’t anything important. Ruth and I went to an entertainment given in Watsontown. Some fine music I listened to. 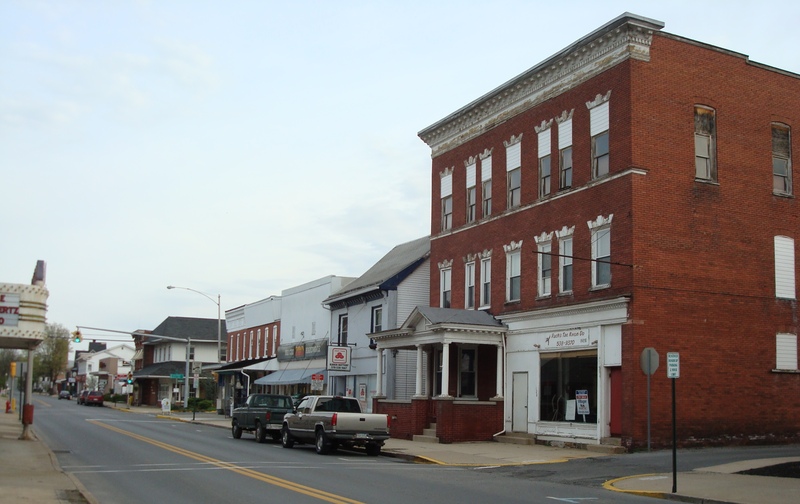 Here’s a picture of Watsontown–though I don’t know where the Opera House was located. Perhaps the building no longer exists. Welcome back, Grandma! We’ve missed you. The day-to-day happenings in your life are more important than you think. Did you and your sister Ruth go to the Watsontown Opera House? I’ve heard that the theatre’s name is more presumptuous than the actual building—but that it’s the best place in town to see good performances. Posted on October 9, 2014 October 8, 2014 by SherylPosted in WatsontownTagged family history, genealogy. Next Next post: Took Two Pictures!! Yay, welcome back Helena! Went to an entertainment…interesting way to say it. Oh, I wonder what they went to! Grandma apparently saw no need to record the name of the event, but I wish that she provided some detail. It’s funny–Helena commenting on her lack of writing makes it seem like she knows we’re here, waiting . . . It sort of seems like she was justifying her lack of writing to herself. That is an interesting phrase: “went to an entertainment”! I agree with KerryCan’s comment. The way some words are used has changed over the course of time. 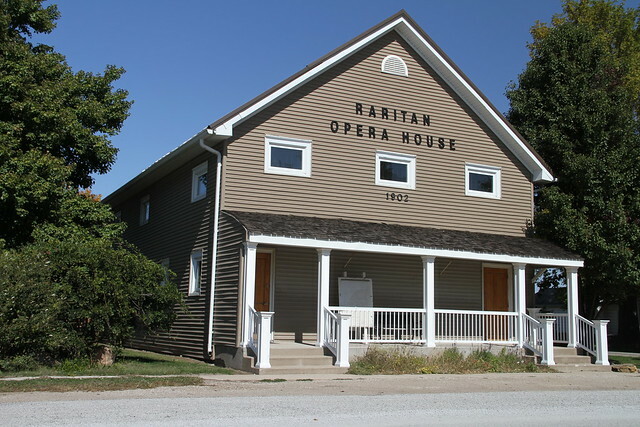 The tiny town where my maternal grandparents lived had an opera house. It has been restored, but not to its original look. It’s wonderful that the building has been restored–even if the look has been changed. So many old building are in poor condition. It sounds like fun to go to the opera house. It does! The building name provides a certain aura. We had an “opera house” in our small town in PA too. It showed movies up until about 5 years ago. Interesting. . . Opera house must have been a common name for a theater years ago. It is a fun term! The original Grand Opera House in Galveston still is standing, and still is in operation. I went over to see what their current offerings might be, and discovered that I was too late to get tickets for Willie Nelson. I had no idea he was coming, but it sold out quickly. Here’s a photo of what it looks like today. I believe I might take a friend to an entertainment there as a birthday present.